Have fun colouring and drawing on almost all surfaces and textiles including fabric! 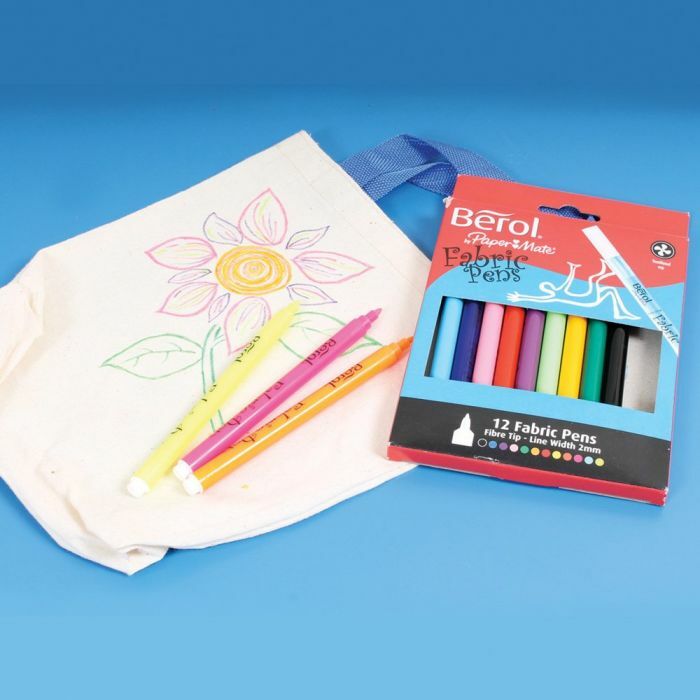 These Berol t-shirt markers, unlike normal marker pens, actually stick to the fabric so you can be creative in arts and crafts, the ink is also washable to 40ºC in case you get any ink on clothing by accident. The ink is odour free & gluten free making them suitable for ages 5 years plus. Get 12 assorted colours per pack.